December was a terrible month for investors, with the S&P 500 down by more than 9%. While that provided a large number of potential buying opportunities, the increased volatility present in the markets combined with a global economy that appears to be slowing makes picking any stocks to buy nearly impossible. Despite the current turmoil, I’ve decided to go out on a limb and recommend seven stocks to buy that experienced a 20% decline in December, but long-term should make you money. Well, I’m pretty confident the shareholders of these seven companies are having real difficulty doubling down on their bets — and who could blame them? — but nonetheless, some of the best investments are made when everything seems hopeless. There’s one caveat to my recommendations. The year ahead is going to be bumpy. Do not buy any of these stocks for a retirement account (tax-deferred or tax-free) unless you’re prepared to hold beyond the end of 2019. The big headwind facing BRP (NASDAQ:DOOO) — the maker of recreational vehicles under the Ski-Doo, Sea-Doo, and CanAm trade names — heading into the final month of 2018 was President Donald Trump’s threat to pull out of the USMCA trade agreement between the U.S., Mexico and Canada, if Congress doesn’t ratify the revised version of NAFTA. A return to pre-NAFTA trade would be a disaster for any North American company doing business in all three countries. In early December, BRP CEO Jose Boisjoli, who’s done a terrific job taking advantage of America’s love of ATVs and SSVs, stated the deal would get through Congress given the economic stakes involved. Boisjoli estimated that the changes to the NAFTA trade agreement would cost the company $35 million in 2019, which includes $25 million due to steel and aluminum tariffs, far less damaging to its profit and loss statement than initially anticipated. That’s great news for DOOO shareholders. Heading into 2019, BRP expects to hit its five-year earnings target a year ahead of schedule, putting it in fine form to take more market share throughout its next five-year plan, which it will release in the fall. As long as the U.S. economy remains healthy, DOOO is an excellent buy below $30. The Toronto-based brand best known for its winter parkas had a good year in 2018 despite the stumble at last year’s finish line. In fact, of all the S&P/TSX Composite Index stocks to buy — Canada Goose (NYSE:GOOS) is dual-listed in Toronto and New York — GOOS had the eighth-best return in 2018. The latest concern about the company is that the Canada-China-U.S. spat over Huawei CFO Meng Wanzhou’s arrest created a boycott of Canada Goose products by Chinese consumers, a boycott that could severely impact sales there. Well, guess what — when you’re a powerful growth brand like Canada Goose, Chinese consumers aren’t buying the boycott. On Dec. 28, Canada Goose opened a brand new store in downtown Beijing; customers lined up in frigid weather for a chance to buy one of its $1,300 parkas. “It’s been popular for ages but Beijing didn’t have one, only Hong Kong. So everyone’s come to see it,” said Long Hua, 32, lining up outside the store. The fact is, even in Communist China, people are going to like what they like, regardless of what the government would like to happen. 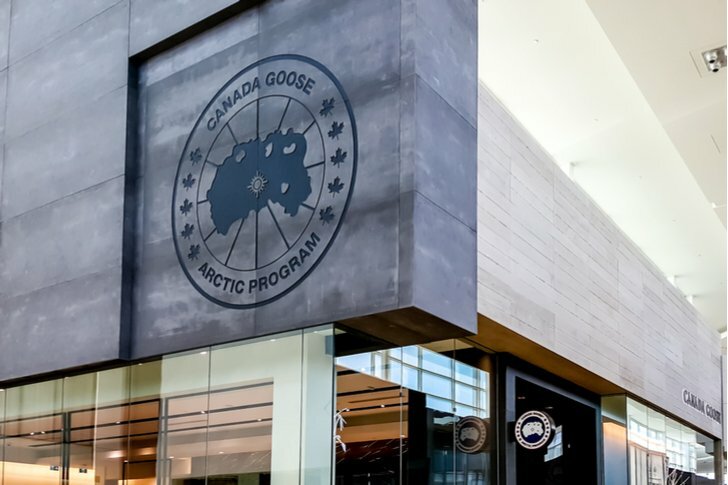 Delivering a staggering one, two, three punch of wholesale, online, and its own flagship stores in major cities like Beijing, it’s a big reason why I picked Canada Goose as the best stock to own in 2019 as part of InvestorPlace’s annual stock-picking contest. Losing 35% in December provides buy-and-hold investors an opportunity to buy in at a much cheaper valuation. 2018 wasn’t kind to Thor Industries (NYSE:THO), despite becoming the world’s largest recreational vehicle manufacturer as a result of its September acquisition of the Erwin Hymer Group, Europe’s largest RV business, for 2.1 billion euros. As part of the deal, the Hymer family will get 2.3 million shares of THO stock. Given how badly its stock was savaged in 2018, I’d suggest they hang on to the shares for some years, because as recently as last January Thor stock was trading above $155. Caravans, as they call them over in Europe, are becoming all the rage, and Thor’s ready to benefit from this demand. Don’t let the company’s Q1 2019 revenue and earnings decline throw you off the scent. Business is still strong at Thor, albeit at more historically normal levels of sales, unlike those experienced in Q1 2018. The company’s tax rate has been artificially high in the first part of 2019. Expect it to drop to around 24% in the final two quarters of the year providing a nice boost to its bottom line. Thor might be the value bet of the bunch. It has been a busy year for the New York-based investment broker-dealer. In November, BGC Partners (NASDAQ:BGCP) completed the spinoff of Newmark Group (NASDAQ:NMRK), the company’s commercial real estate platform. Shareholders received 0.463895 shares of Newmark for every share held of BGC. Newmark’s real estate business contributed about 46% of BGCs revenue immediately before the spinoff. BGC spun out Newmark so that the real estate business could focus on its own growth — it generates all of its revenue in North America but will look to acquire firms in Europe and elsewhere — while providing liquidity for Newmark’s employees who own 22% of the company but held none of the votes. As for BGC, it can focus on its Fenics business, which incorporates all of the company’s technology initiatives and which grew its revenues by 15% in the trailing 12 months ended September 30 and 13% in Q3 2018. The trend at the moment is for businesses to apply a laser-like focus on its core strengths. By spinning off Newmark, it’s done that. BGCP stock isn’t cheap at 22 times its trailing 12-month earnings, but it’s got a good future ahead of it. Warren Buffett’s a big owner of Davita (NYSE:DVA) stock. At the end of September, Berkshire Hathaway (NYSE:BRK.A, NYSE:BRK.B) owned 38.6 million shares, the same number of shares held from 24 months earlier. If the Oracle of Omaha is unhappy with the dialysis clinic’s performance, he hasn’t let on in the press. 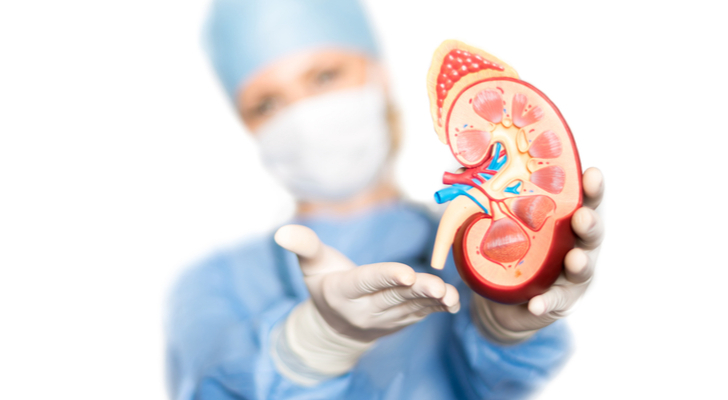 In the November election, 61% of California voters turned down Proposition 8, a resolution that would have capped the amount dialysis providers could make on privately insured patients. If passed, the resolution could have cost Davita as much as $400 million given it operates half of all the chronic dialysis clinics in the state. The vote sent DVA stock soaring on the news only to come right back down to earth in December after reporting Q3 2018 earnings that missed analyst expectations. Although it missed on both the top and bottom line, Davita still managed to generate $2.85 billion in sales during the quarter with earnings per share of 56 cents. If Buffett didn’t own 23% of Davita, I’d be a lot less enthusiastic about the stock’s potential in 2019. Down 22% in December, I’d wait to see if Berkshire Hathaway sold any shares in the final quarter of the year. If not, I’d buy away. If there’s a stock that surprised me in 2018, Roku (NASDAQ:ROKU) would have to be at the top of the list, and that’s not a good thing. As recently as early December, I’d been a big supporter of the video streamer’s business model, despite the fact it still doesn’t make any money. Investors are worried that its growth will slow before it gets to GAAP profitability, effectively sucking the air out of the investment thesis for buying ROKU stock. I believe that the company’s argument that one day all TV will be streamed is bang on. If so, advertising becomes a huge revenue generator for the company. Case in point, Roku just announced that its Roku Channel would allow users to subscribe to premium content from Showtime, Epix, Starz, and others, paying only one bill for all this additional content. For the customer, it’s a real time saver when paying bills. For the company, it means higher ad revenue from the Roku Channel, the primary way it generates revenue. 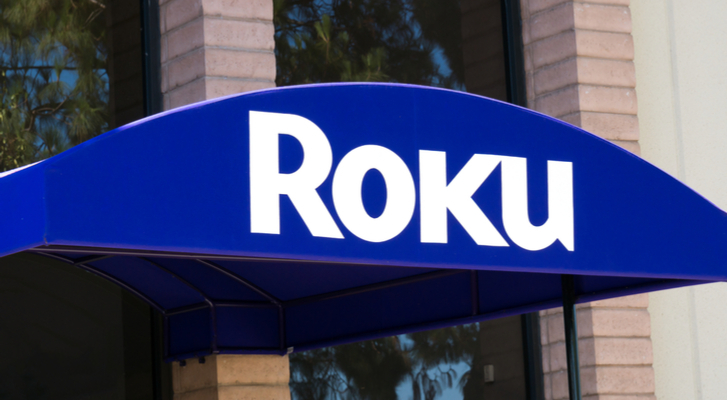 I’m sure this is one of the reasons Needham analyst Laura Martin recently called ROKU stock one of her top picks for 2019. With a $45 target price, ROKU’s got 50% upside in the next 12 months. Once upon a time, L Brands (NYSE:LB) was the hottest stock around. Victoria’s Secret was buzzing along while Bath & Body Works was delivering consistent growth. Leslie Wexner was a genius. Then competitors like Aerie started to eat Victoria’s Secret’s lunch and down came its stock price. Since hitting an all-time high of $101.11 in October 2015, LB stock’s delivered three consecutive years in negative territory for its shareholders. As a result of its fall from grace, L Brands was forced to cut its dividend in November by 50% to $1.20 a share. 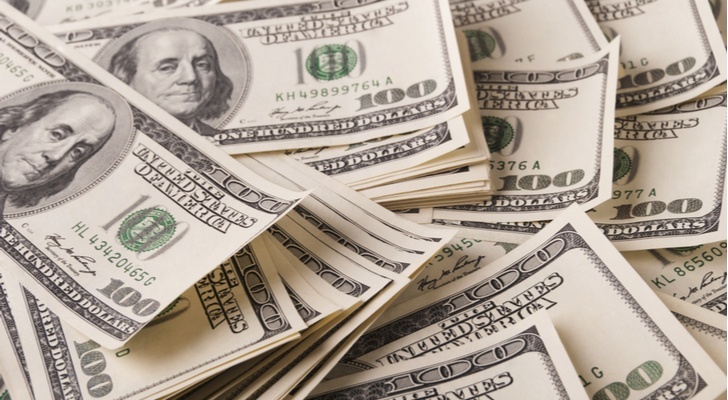 The $325 million it will save from the cut will be used to pay down debt. In the last three months of the year, two things happened to signal L Brands is focusing on its two key brands. First, in September, it announced the closure of both the 23 Henri Bendel stores and the Henri Bendel e-commerce site. Then, in December, it announced the sale of La Senza, its Canadian lingerie retail chain, which wasn’t growing and lost approximately $40 million in 2018. L Brands paid CAD$710 million for La Senza in November 2006. It likely didn’t receive anywhere near that amount on the sale. As someone who visited several Bath & Body Works stores during the Christmas holidays, I can vouch for the brands staying power. Its stores were very busy. Heading into 2019, I’m betting that Wexner rights Victoria’s Secret’s ship. Article printed from InvestorPlace Media, https://investorplace.com/2019/01/7-stocks-to-buy-down-20-in-december/.